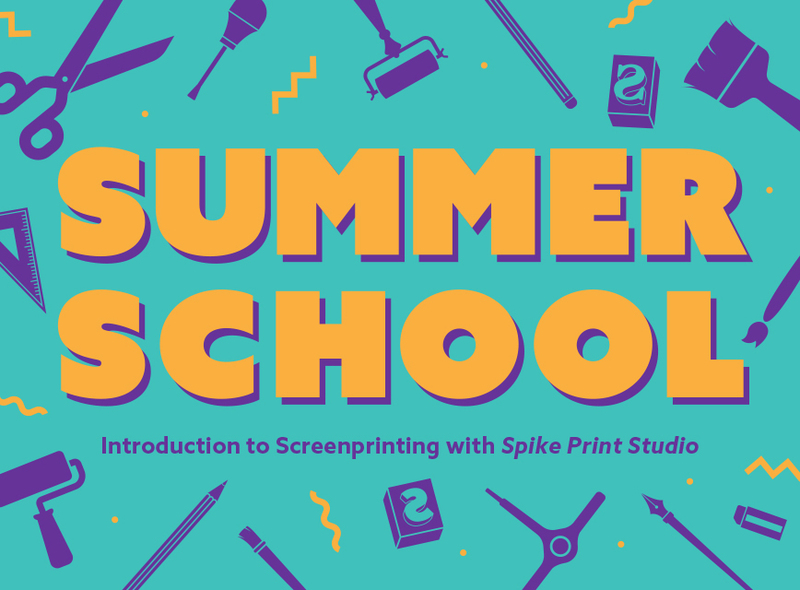 Get your creative juices flowing in this 3 hour introduction to screen printing workshop. In this session you’ll learn the foundations of screen-printing, including preparing artwork for exposing onto the screen, learning about paints and inks, and coating your screen. By the end of the session you’ll feel inspired and confident in the principles of screen printing and you’ll get to takeaway your very own screen print. To help create your design, please bring along a visual; this could be a photo, some typograghy, a sketch, an image from a book or an illustration. There are only 8 places on this one-off special workshop, so book soon. Visit Spike Print Studio for info on their work.